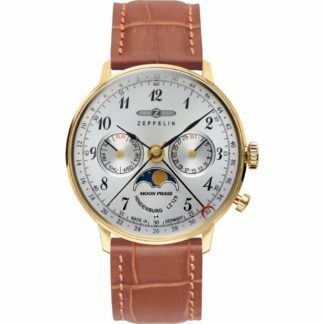 Zeppelin Watches – Zeppelin cruising has always been the most exclusive art of travel. Even today it has not lost its fascination. 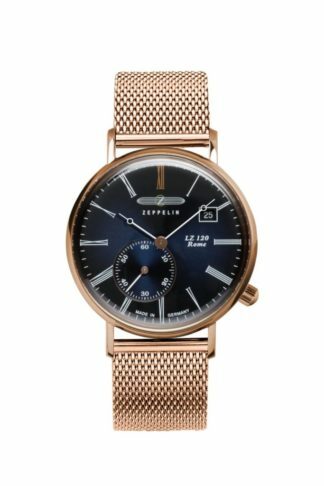 The essence continues today with our Zeppelin Watch Collection which offers a superb technical refinement and timeless elegance. 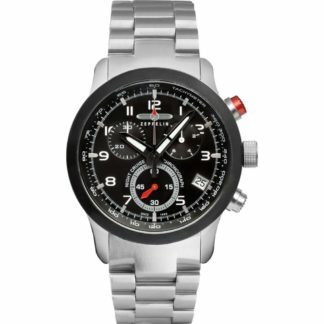 German made and aviation inspired. 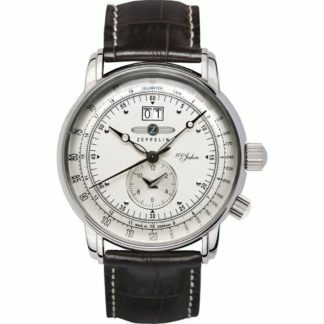 A vintage approach to a modern timepiece. 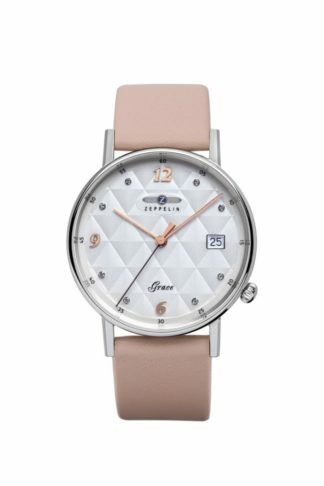 The famous Zeppelin LZ 129 Hindenburg, which is a symbol for elegance and cultivated travelling, was the inspiration for this watch series in retro-style. 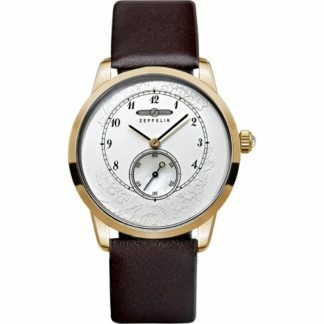 The double domed watchcase with its fine framing, the simplicity and elegance of the dial award the timeless beauty of the “LZ129 Hindenburg” watches. The light touch and style of Italian living is epitomized by the new watch series LZ120 Rome. With its elegantly curved casings, filigree band lugs and slightly domed dials in warm hues, this classical style family of watches, LZ120 Rome, brings la dolce vita to your wrist. 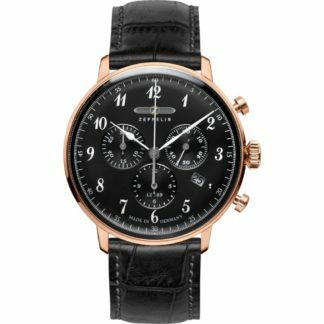 Pitch black elegance, ingeniously crafted: The watches in the NIGHT CRUISE series reflect the fascinating impressions of a night-time journey in a Zeppelin. 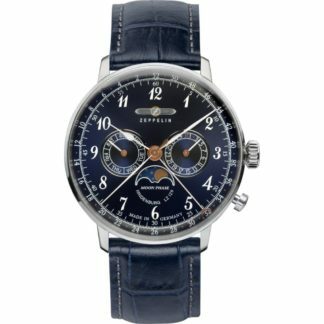 The luminous coating on the hands and indices glows at night with a mysterious blue and makes this watch the perfect partner for your very own personal adventure. The Zeppelin LZ 11 was named after the Prussian Princess Victoria Louise (1892–1980), the only daughter of the last German Kaiser. 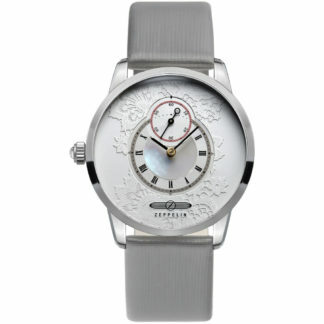 The charming princess was also the inspiration for these exceptional ladies’ watches. The elegant, slim case is the perfect housing for the intricately worked dials. 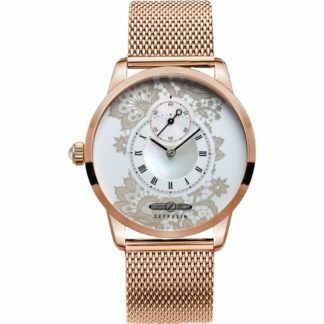 The seductive lacework and mother-of-pearl inlay transform the watch into a miniature work of art that highlights the femininity of the wearer. 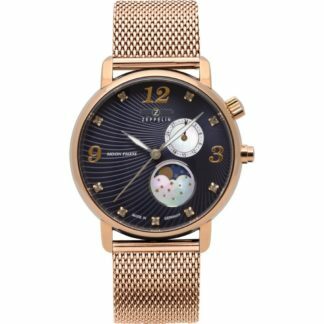 The popular flatline series now has a new look: the elegant casing nestles wonderfully against the wrist. A particular eye-catcher is the new interpretation of the power reserve, which is offset at 30° and gives this watch an unusually striking look. 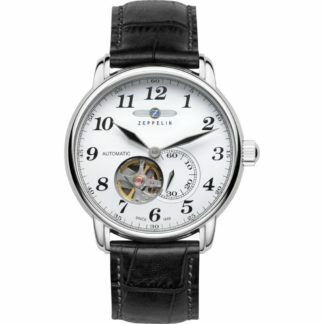 The open heart model provides a glimpse into the mechanical movement. 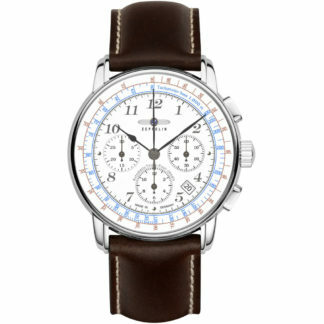 A detail that makes this watch a timeless classic with understated nobility. The British journalist Grace Marguerite Lethbridge was also on board and therefore the first woman to go round the world in an airship. 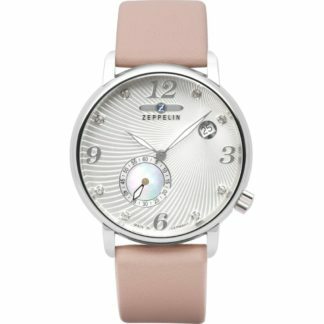 The new, exclusive women’s collection from ZEPPELIN is dedicated to Lady Grace. The rhombic pattern reproduced on the dial stems from this period. 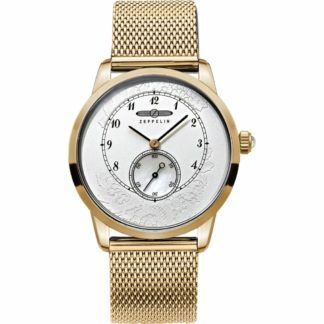 Thus ZEPPELIN has created a timepiece and an extravagant accessory in one; exclusively for women as an elegant companion through the day and a stunning piece of jewellery for the evening. 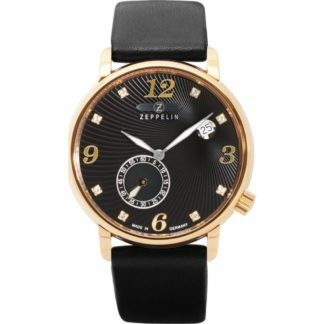 In celebration of the 100 years ZEPPELIN-anniversary POINT tec has designed this extraordinary ladies´ watch reviving the glamour of the golden Twenties. The unique concept of the PRINCESS OF THE SKY allows it to be worn on the wrist as well as around the neck, a fancy choice for any fashionable lady. More than a fine piece of technology, the visible movement with its fascinating details becomes a decorative element. 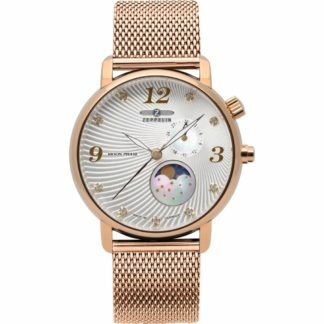 The quartz model comes with stylish elegant Guilloche-dial. 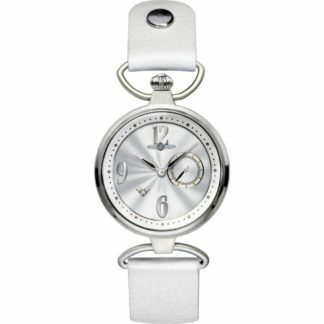 Galvanically refined dials with a distinctive shell structure, mother-of-pearl insert and SWAROVSKI crystals. 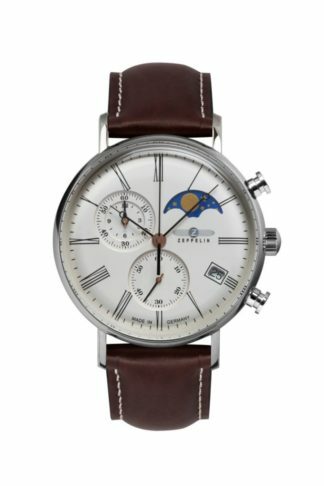 Small second or moon phase and date display. LZ 127 ZEPPELIN were the most important / successful kind of Zeppelin airships ever. They were real historic mile-stones which were never reached again. Between 1900 and 1938 the zeppelin company GmbH constructed more than 100 airships in 27 different variations. The biggest one was in 1938 LZ 129 with a length of 245 meters, dimension of 41,2 meters and volume of 200.000 m3. 4 Daimler disel engines with 4.200 PS moved the airship with a highest speed on 131 km / hour and a distance reach of 12.000 kilometers to Japan, North and South Americafor transport of passengers, post and freight.